The Thomas Welles house before the renovation. 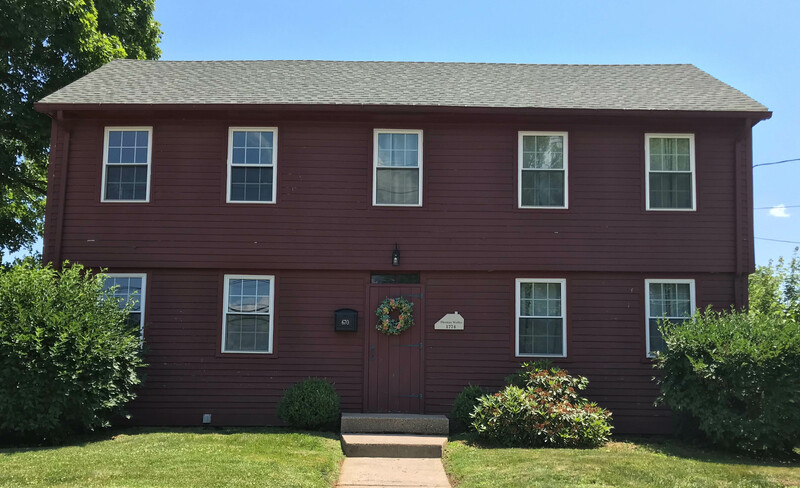 Grimaldi: “Our house is the Thomas Welles House, built in 1774 in Wethersfield, CT, the oldest town in Connecticut. The historical district in Wethersfield is the largest in the state." When they moved into the house seven years ago the home had wood siding painted a deep barn red. Grimaldi: “The house has very strong sunlight from dusk-to-dawn, so paint, especially darker colors, were difficult to maintain." Then there were the historical considerations. 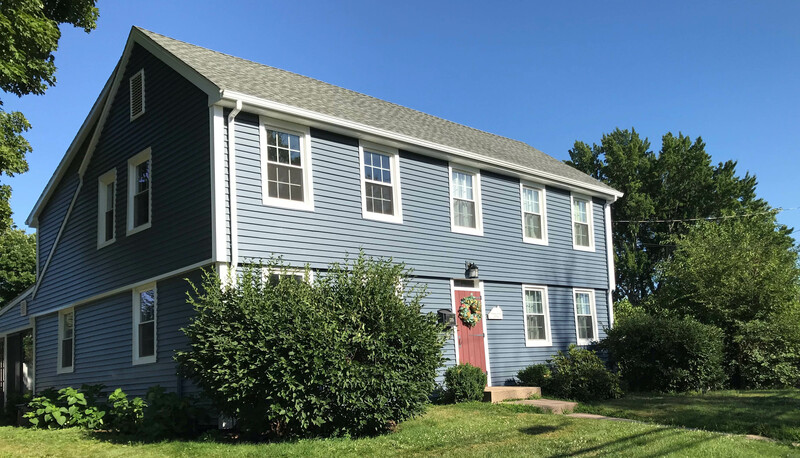 Grimaldi: “While it is a historical house, we are not located in the historical district, so we have much more leeway than the other historical houses in town. However, the house is in a very visible spot in the neighborhood so renovating the exterior was important and needed to be done right." 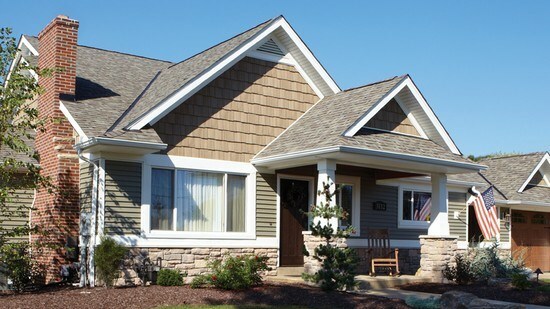 After: CertainTeed Monogram siding was used to give the home a new look while staying true to its historic past. Homes in this area and of this time period would have been sided with wood and that was the original plan. They would refurbish, replace where needed, and repaint but keep the wood siding. 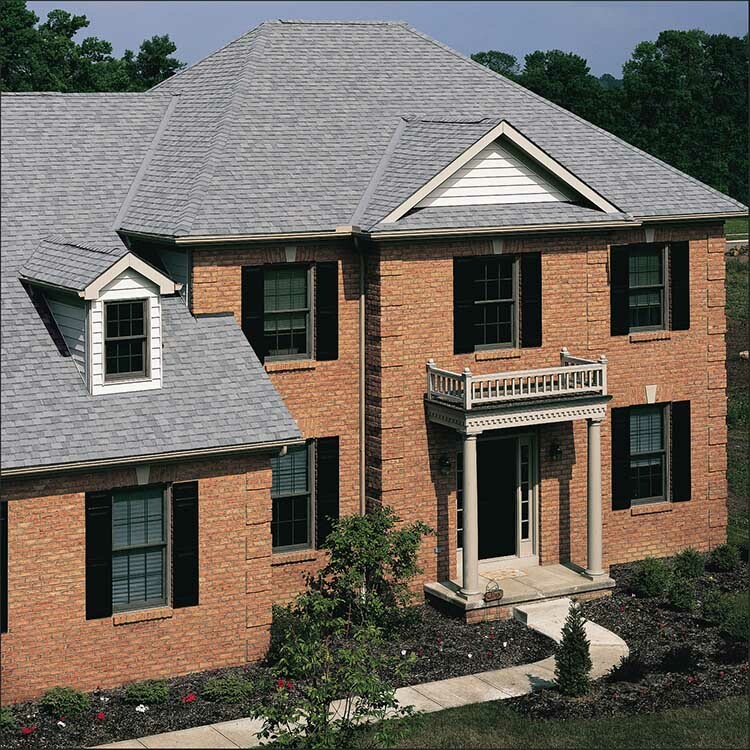 Grimaldi: “We had initially ruled out vinyl siding, but upon recommendations and being able to see the product, our minds were changed. We were extremely impressed by the realistic cedar texture allowing this remodel to keep the historical character of an old home." 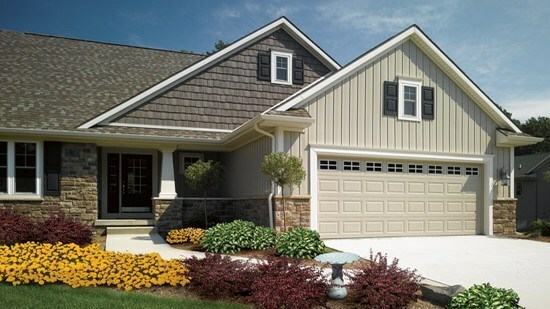 After a lot of research and comparison, in the end, they chose CertainTeed Monogram® siding in Pacific Blue. Grimaldi: “While red was not the original color of the house, we hadn't intended to change the color, however after seeing the Pacific Blue, we loved it and were sold. 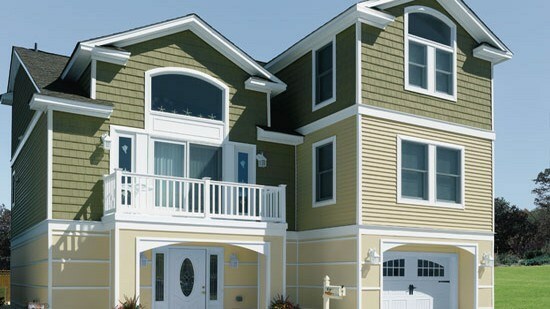 The color is a beautiful shade that has a great richness and makes the house standout more than it did before!" 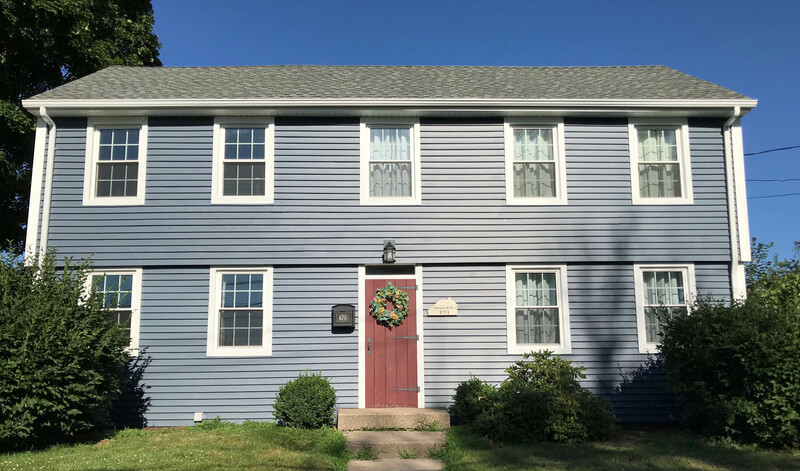 Despite the high quality, the Monogram siding offered a great price value, allowing us to afford a full scale exterior renovation with money left for finishing touches making the project a great success." After: The final results exceeded the expectations of the homeowners and the neighbors. Grimaldi: “Being an old home, having a strong material to help prevent against the weather was very important. We wanted to use materials that would offer us peace of mind against the elements." So, what do the neighbors think? Grimaldi: We have been getting a ton of great feedback from people walking and driving by, it's a huge hit in the neighborhood! We couldn't be more thrilled with how it came out!" 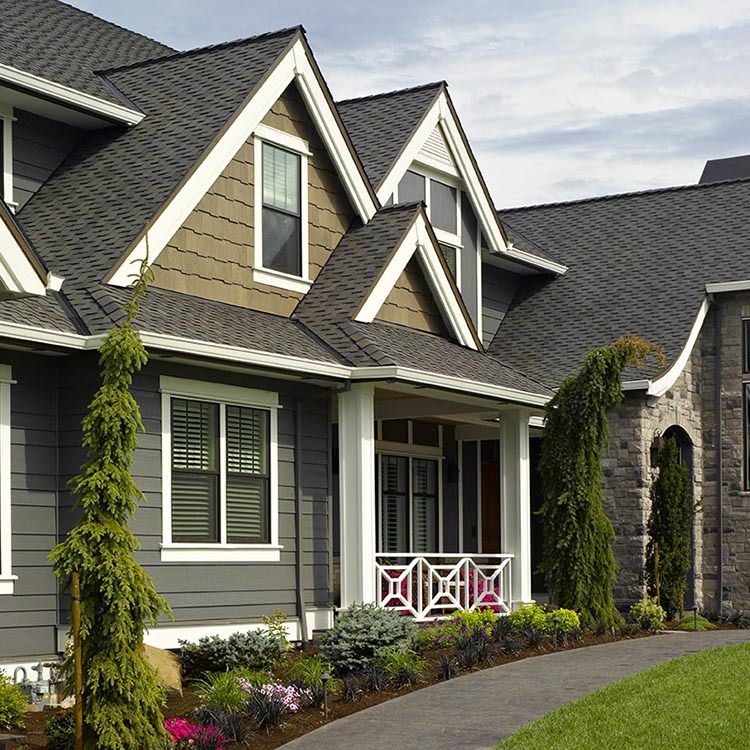 Ready to start an exterior renovation on your home? 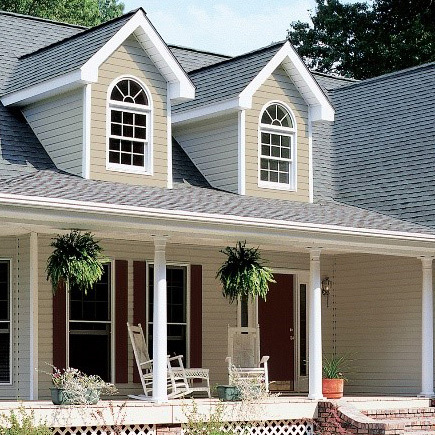 Find the CertainTeed Siding that's right for you.